Ryanair today (29th Sept) emailed all (under 1%) of its customers who were affected by its deeply regretted 2,100 flight cancellations in Sept/Oct, or the 18,000 schedule changes (announced on Wed, 27th) from November 2017 to March 2018, in order to explain their entitlements under EU261 regulations as follows. A full refund will be given of an unused flight sector and associated fees. If the disrupted flight is their outbound sector, customers will also be offered a full refund of the return sector. First, move the customer to the next available Ryanair flight on the same route. Move the customer to the next available Ryanair flight from/to a suitable alternative airport/s (for example: Luton or Gatwick in the case of Stansted). Easyjet, Jet2, Vueling, Cityjet, Aer Lingus, Norwegian or Eurowings airlines. Offer the customer re-accommodation on any comparable alternative transport (another airline flight, train, bus or car hire) with the cost of this comparable transport ticket to be assessed on a case by case basis. 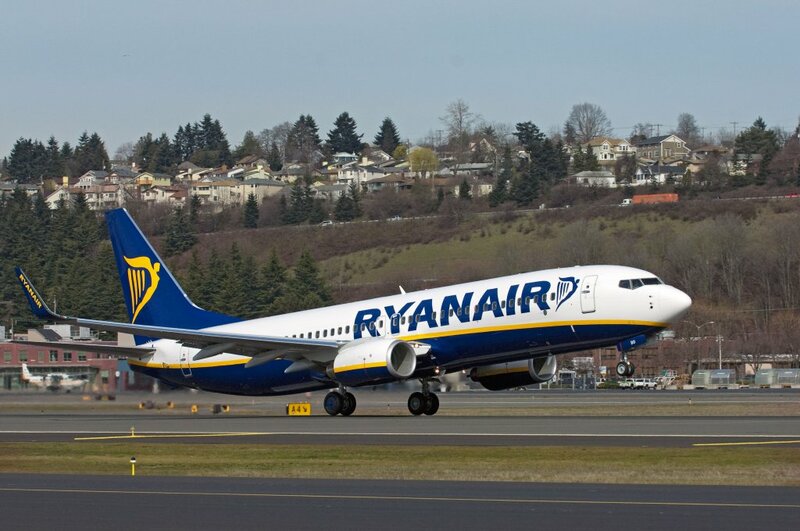 Under EU261, Ryanair will also reimburse any reasonable out of pocket expenses incurred by customers as a result of these flight cancellations, subject to receiving an EU261 expense claim form from customers supported by original receipts. If any Ryanair customer on one of these disrupted flights believes that they may have chosen an option that was not suitable for them as a result of any misunderstanding of their EU261 rights, then they should write directly to Ryanair’s Director of Customer Services and Ryanair will assist them in any way it can to obtain their full EU261 rights and entitlements. “We apologise again sincerely for the disruption and inconvenience our rostering failure has caused some of our customers. Over the past week we have refunded/reaccommodated over 97% of the customers affected by the 18th September cancellations. This week (by close of business on Sun, 1st Oct), we will have reaccommodated/refunded over 90% of the 400,000 customers who were notified of schedule changes (on flights between November 2017 and March 2018) on Wed 27th. In addition, every single affected customer has received a travel voucher for a €40 one way flight (€80 return) for travel in October to March. We have restored the reliability and punctuality of our flight operations. Over the past 7 days we have operated over 15,000 flights with over 96% of our first wave morning departures operating on time, or with zero flight cancellations.